← Cholesterol – The Good, The Bad and The Ugly! Our last article dispelled some myths around cholesterol and shared the good and the bad of cholesterol. This article gives your five tips to improving your cholesterol levels. Diet and lifestyle changes must form the foundation of any cholesterol lowering plan. Eliminate damaging trans fats found in fast foods, fried foods and baked goods. Trans fats increase your risk of developing heart disease by increasing the ‘bad’ cholesterol. Reduce your saturated fat intake by consuming only lean meats. Too much saturated fat can cause weight gain and increase your cholesterol. Increase the amount of good fats you eat from cold water fish, nuts and seeds. Follow the principles of the Mediterranean diet which is rich in fresh fish, whole grains, fresh fruits and vegetables, olive oil and garlic. 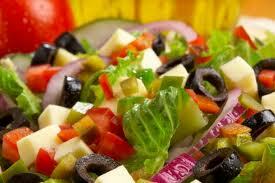 People following the Mediterranean diet have the lowest rates of cardiovascular disease in the world. Cut down on sugar in your diet. Soft drinks, fruit juices and processed foods frequently contain ‘hidden sugars’. When there is an over-supply of sugar the body converts this to fat which negatively affects cholesterol balance. need help managing stress or quitting cigarette smoking. Krill Oil – Krill oil is a valuable source of essential fatty acids, antioxidants and phospholipids which have been shown to be effective in reducing cholesterol. This source of essential fatty acids can help to correct the balance of ‘good’ and ‘bad’ cholesterol and reduce inflammation, making krill oil a vital nutrient for keeping your heart healthy. Sugar Cane Wax Sterols – Sugar cane wax sterols (or policosanols) are nature’s answer for mildly elevated cholesterol. Sugar cane wax sterols help reduce LDL cholesterol and increase HDL cholesterol. It is never too late to improve your health, and the simple dietary and lifestyle modifications outlined here, along with appropriate supplementation, can add years to your life and life to your years! Discuss your cholesterol levels with our Practitioner today! This entry was posted in Cholesterol, Weight Management and tagged krill, lower cholesterol, Queanbeyan Health Foods, sugar cane wax sterols, supplements. Bookmark the permalink.